Tencent Games and PUBG Corporation have now released today the latest update for PUBG Mobile on iOS and Android devices. It features new game modes and a whole lot more. One of the coolest things about PUBG Mobile’s new mode is ‘Darkest Night’ where you have to survive against hordes of zombies. You have to fight against both other players and zombies so it’s more challenging than ever before. You can read the full patch notes for update 0.12.0 posted down below. All info has been taken from the official press release. 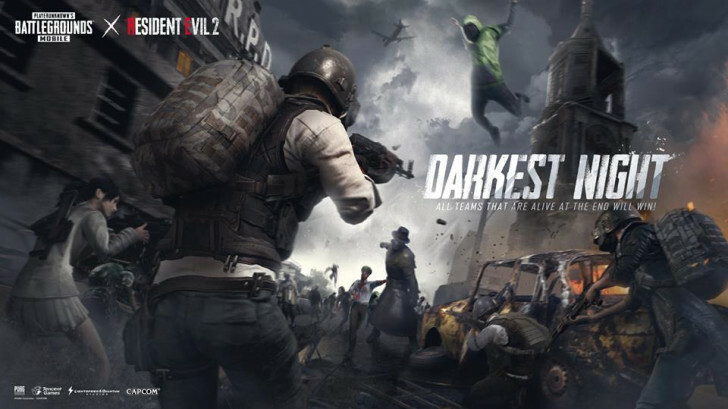 Darkest Night – Players can team up or go solo to survive a night of undead invasion and toxic gas until evacuation at sunrise; This new mode also comes with a passive skill for every player. Understanding these skills will be the key to staying alive in this long night. Survive Till Dawn 2 – The PUBG MOBILE x Resident Evil 2 survival game mode is revamped with new gruesome ghouls and never-before-seen ballistic weaponry for even more nightmarish gameplay. Spectator Mode – Players can observe the action live by spectating the matches of their friends, Crew and Clan members. Crosshair Modifications – Red dot, holographic, 2x scope and 3x scopes can be adjusted to different colors, along with multiple shape variations of the red dot reticle. Popularity has been added to Spaces – Players can now show their support by giving LIKEs to one another, and become Partners with friends that have 400 Synergy or more. Partners will appear in each other’s Spaces. Event mode replaced by EvoGround – Survive Till Dawn is now under this mode. And more new modes will be added in the future. PUBG Mobile is out now and it’s free to play for iOS and Android devices. Future updates will also be released featuring balance changes and other new modes.